Ahh, belts. A surefire way to ensure your electronics have a finite shelf life. My Phillips CD-i, which rarely sees any action except to inflict pain (humor?) on unsuspecting visitors, gave up the ghost recently. The telltale sign of a failed belt was present, the disc tray motor merrily whirred away, but the tray stayed put. The advantage here is that with 3D printing, you can have any size belt, custom or standard, in a matter of minutes instead of days or weeks to get one off eBay. I&apos;ve done this type of repair technique once before, previously on a disc changer for my father-in-law, so I was confident I could press the CD-i back into service. The part was designed in 123D, and printed on a Lulzbot Taz 4, with the stock extruder, sliced with the Lulzbot edition of Cura using the PLA-fine configuration profile, printed at 230C nozzle, no bed heat. All told, things went well, with no major setbacks. 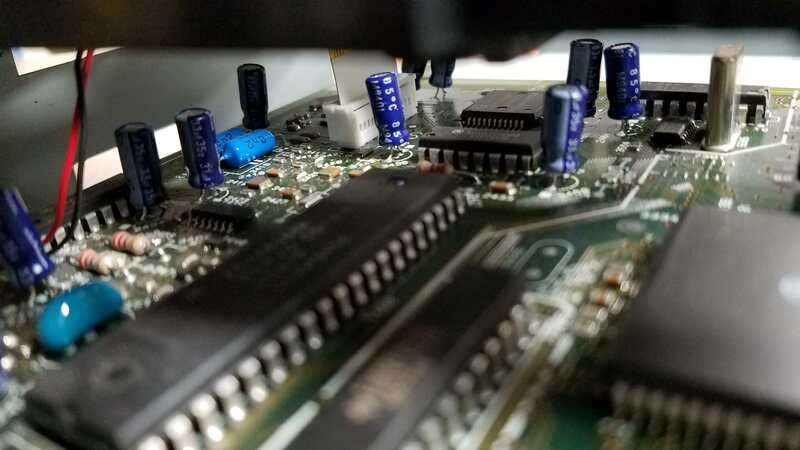 Nice interior picture of CD-i motherboard. This belt fits the disc tray pulleys of a Phillips Cd-i model 220. 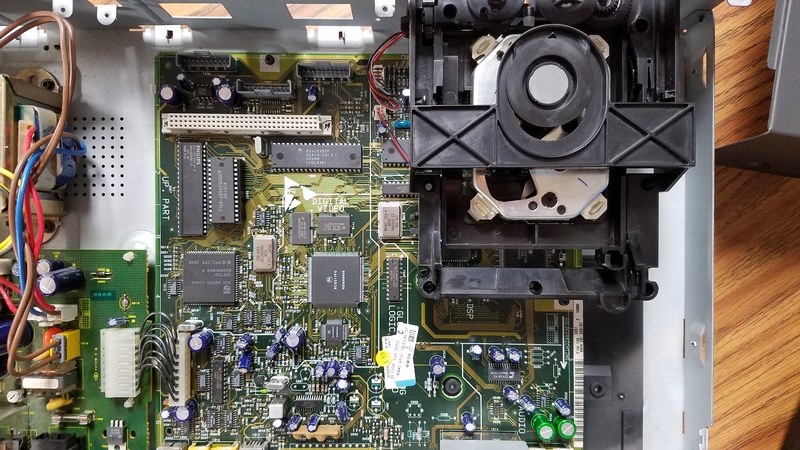 Tear down the CD-i until you can access the disc tray pulleys. Here we can see where the belt should be. I&apos;ve removed the perished belt already. The front panel needs to come off to remove the disc tray. You can probably reach the pulleys at this point, but further disassembly is easy enough. This latch must be moved to pull the tray out completely. With the tray out of the way, now we can proceed. Wrap a piece of string around the pulleys to get the circumference of belt needed. Use a piece of string to measure the length of belt needed. Measure the string. This will be your inner circumference of the new belt. many times you may be able to find an O-ring of the proper size. It would be much more difficult to get this special filament and convince the printer to work with it, than getting a regular belt. If you get only one which is too long, they are easily cut and glued with superglue. Or you get a kit with just the rubber "string" and the glue. Surprisingly, I didn&apos;t have to do any convincing at all! For the TAZ4 this was printed on, the manufacturer recommends using their proprietary "flexystruder" but I didn&apos;t have any issues running it with the stock extruder, just slowly. The small volume of the final print means a very quick and very cheap print, on the order of 10 minutes and pennies, which is preferable to the week or more it usually takes to get a belt off ebay. We are hackers after all ? :D why buy if we can hack ! For "Repairs You Can Print Contest", and for the sake of documenting the repairs and improvements, done by 3D printing. You are about to report the project "3D printed belt for Phillips CD-i", please tell us the reason.